Bring attention to your business or event with a great looking banner. 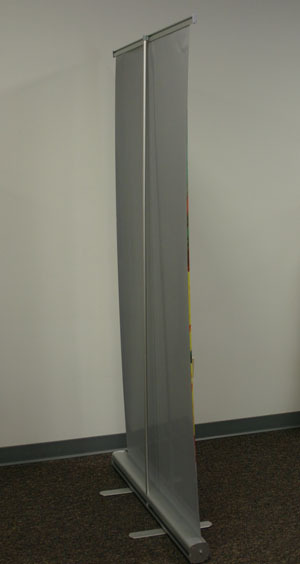 We offer banner sizes up to 8' wide and 150' long and can include grommets for convenient hanging. We offer a variety of materials to suit all of your needs for indoor and outdoor banners, along with the hardware needed to display them. Have you ever seen a pop up banner? 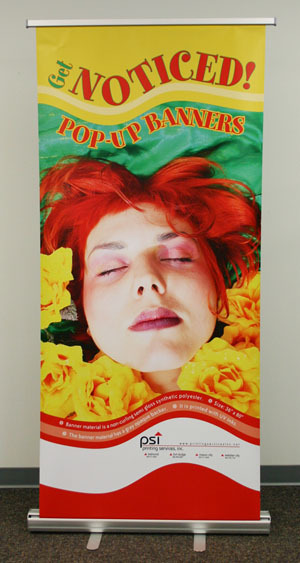 These banners have a colapsable stand and are an excellent option for your "on the go" demands.